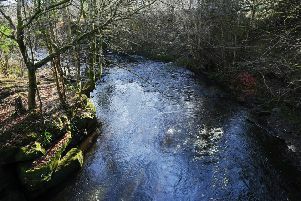 Police have confirmed that a man’s body was discovered in the River Carron yesterday (Sunday). The 31-year-old was found near Denny at around 3.30pm. A Police Scotland spokeswoman said: “Police in Forth Valley were called to the River Carron near Denny at around 3.30pm on Sunday, February 10 following a report of a body in the water. “A 31-year-old man was recovered from the water and sadly pronounced dead at the scene.